Unified Fire Authority • Top official, who is seeking re-election for County Council unopposed, served department for 20 years. Francisco Kjolseth | The Salt Lake Tribune Michael Jensen, September 23, 2004. Michael Jensen • Chief of the Unified Fire Authority is stepping down. Al Hartmann | Salt Lake Tribune Unified Fire Authority Chief Michael Jensen has had an eventful first year at the job with Cottonwood Creek flooding earlier this Spring, this Summer's oil spill and was integral in fighting the Herriman Machine Gun fire. Al Hartmann | Salt Lake Tribune Unified Fire Authority Chief Michael Jensen, left, and Deputy Chief Gaylord Scott have had an eventful year at their jobs with Cottonwood Creek flooding earlier this Spring, this Summer's oil spill and was integral in fighting the Herriman Machine Gun fire. Trent Nelson | The Salt Lake Tribune Salt Lake County Council Member Michael Jensen rolls up his sleeve to get a flu shot from Jim Chlumsky of the Salt Lake Valley Health Department. 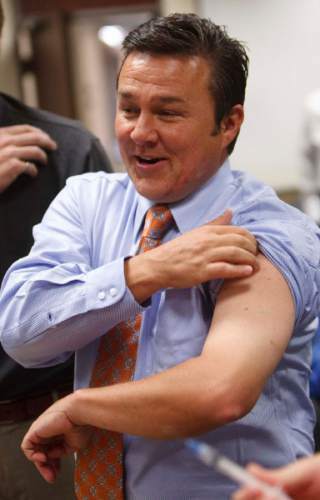 After the poor turnout at last weekend's flu vaccination clinics, some members of the Salt Lake County Council got shots before their meeting Tuesday, September 22 2009 in Salt Lake City. 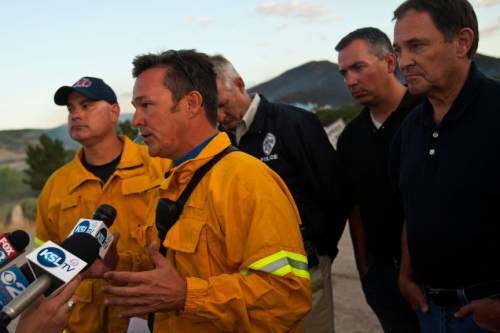 Chris Detrick | The Salt Lake Tribune Unified Fire Chief Michael Jensen takes about the Rose Crest Fire near Herriman Friday June 29, 2012. | Tribune File Photo Unified Fire Authority Chief Michael Jensen speaks at the Community Fire Information Meeting, intended to provide residents with information about the Machine Gun Fire, at Herriman High School, Thursday, September 30, 2010. Chief Michael Jensen is leaving Unified Fire Authority, an agency under investigation over bonuses it approved for him and three others. During a two-hour closed-door meeting, Jensen said, he and the agency&apos;s board had a "long, good discussion" and agreed on a "mutual separation" in the best interest of Unified Fire Authority (UFA). 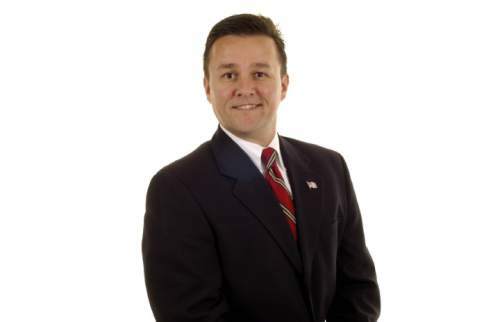 "I love the UFA," said Jensen, a 16th-year Salt Lake County Council member who is running for re-election unopposed. "I helped build it, and I&apos;m proud of what we&apos;ve done." The decision comes a week after the state announced that it would audit the UFA based on "a complaint alleging improper compensation to certain employees, misuse of credit cards and other potential misuse of public funds." 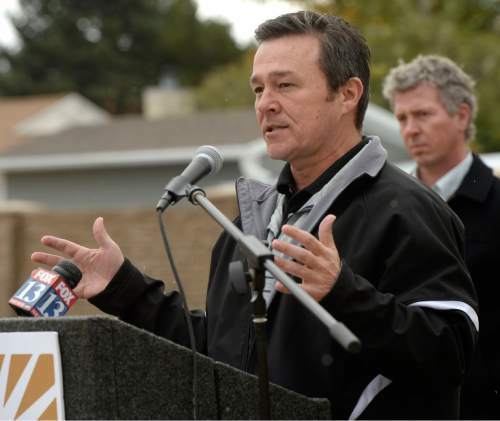 "There were a number of issues that have arisen that have caused us to work together to find a solution that would best meet the needs of our employees and the community we serve," said Eagle Mountain Mayor Christopher Pengra, who also serves as the UFA board&apos;s vice chairman. Among other records, the state auditor requested W-2 forms and "a report showing compensation" that had been given to Jensen, former Deputy Chief Gaylord Scott, Chief Legal Officer Karl Hendrickson and former Chief Financial Officer Shirley Perkins. The compensation, Jensen said, was given to the UFA administrators for work they had done on behalf of Unified Fire Service Area (UFSA). The UFA serves four cities  Alta, Cottonwood Heights, Draper and Holladay  as well as unincorporated Salt Lake County and UFSA, often referred to as "the district." 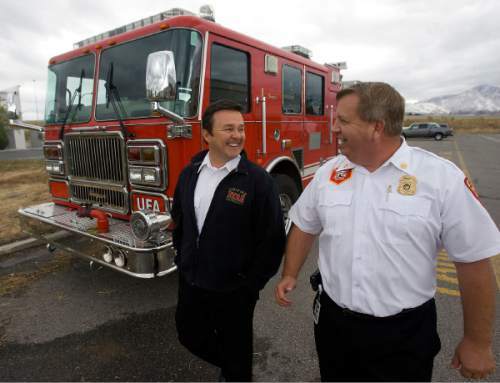 The UFSA is a taxing district made up of five municipalities  Eagle Mountain, Herriman, Midvale, Riverton and Taylorsville ­ that levy property taxes to build fire stations operated by UFA. The UFSA employs the UFA to provide firefighters and emergency medical services to community members in its boundaries. The bonuses were paid from UFSA funds. UFSA does not have a management team, Jensen said, so it hired UFA executive officers to do administrative work. The resolution for compensation, Jensen said, was "approved, authorized, signed and reviewed" by the UFA board, which consists solely of elected officials. The chief welcomed the audit, he said last week, noting that the agency has "had great audits in the past" and plans to be compliant. Jensen&apos;s leave will not be effective immediately, he said, noting that the board will convene Tuesday to discuss the matter further. Pengra clarified that while Jensen is the chief and the board has not taken official action against Jensen, "an assistant chief will act as fire chief in that role in accordance with our continuity of operations plan." 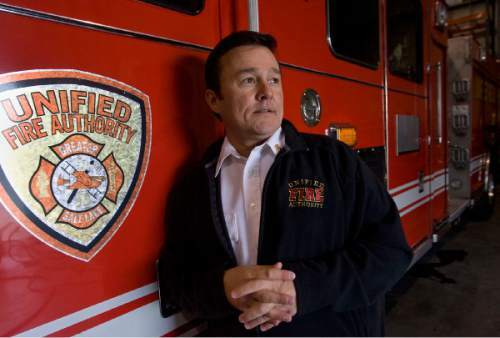 "Everyone involved wants to do what&apos;s best for Unified Fire Authority. 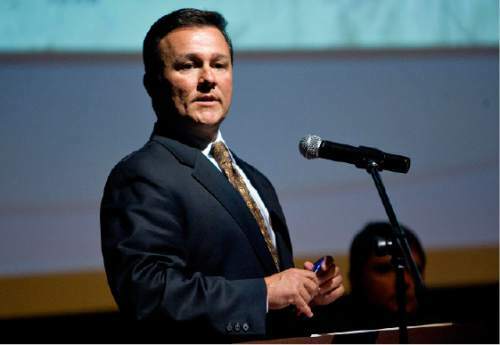 ... UFA will continue offering excellent service to all of our communities," Pengra said. "There won&apos;t be any interruption to the service that we&apos;re currently offering." Jensen said officials in the board&apos;s executive session Friday "want the organization to be healthy." He said he&apos;s served with the fire department for 20 years and was a part of UFA when it was formed 12 years ago. He&apos;s served as chief for seven years. Jensen said he is not sure what the next chapter of his life will hold. "This is uncharted waters for me," he said. "It&apos;s going to be interesting." Being a paramedic was "probably the best job I&apos;ve ever done in my life," Jensen said. "It&apos;s hard, leaving something that you love." Pengra confirmed that Scott resigned within the past few weeks, citing medical reasons, and that Jensen&apos;s administrative assistant Ryan Perry resigned Wednesday, but Pengra did not cite the reason for his exit.